What do you see? A glowing couple, beautiful dress, joyful friends and family all around? What about the cake, music, location, vows, officiant, invitations, dinner, party favors, photographer, videographer, DJ…? When you start to look down the long list of wedding-planning details, it can become insanely overwhelming. And, unsurprisingly, expensive. If you want to celebrate your marriage but abhor the prospect of wedding planning, a tiny wedding might be an attractive solution. Planners and participants aren’t even consistent on what part of the wedding the “tiny” refers to. It could be the budget, number of guests, venue, or something less tangible, like the effort and stress of planning. But one thing seems to be true: A tiny wedding costs less than a traditional one. The number of guests is often a major factor in keeping costs down. A small crowd means a smaller venue for both the ceremony and reception, less food and fewer drinks. Bil Malbon of Tiny Chapel Weddings caps the number at 20, which is how many people fit inside his tiny mobile wedding chapel. Malbon’s Tiny Chapel Wedding will cost you just $160-$200 at its Richmond, Virginia, location. To bring the mobile chapel to you, the full service costs $500-$1,500, depending on your location and the length of your service. Maggie Gaudaen runs Washington, D.C.-based Pop Wed! Co., which minimizes wedding-planning stress with packages for either 10 or 25 guests. It operates from a “minimum viable wedding” or M.V.W. “Some of our weddings simply include our couple, us and a fun location,” she explains. Pop Wed! ceremonies start at $2,900 and include a select venue, officiant, cake or other treats and photography — Maggie’s specialty. 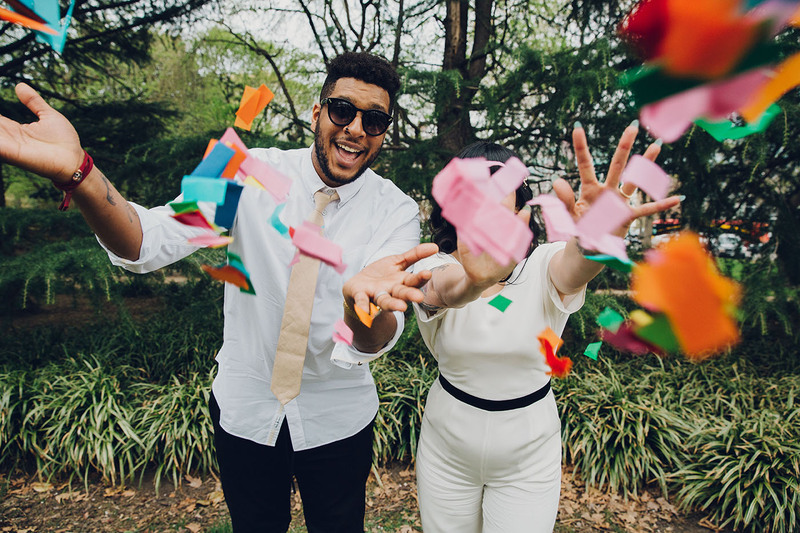 “We realized we could create a new type of wedding that took the best parts of large weddings and the best parts of elopements, leaving out all the stress, and Pop! Wed Co. was born,” Gaudaen explains. This alternative take on the tradition we hold so dear shows you can save money and still have the wedding of your dreams. An affordable wedding or elopement doesn’t have to mean running off to the courthouse with your beloved. You can have your cake and… you know the rest. 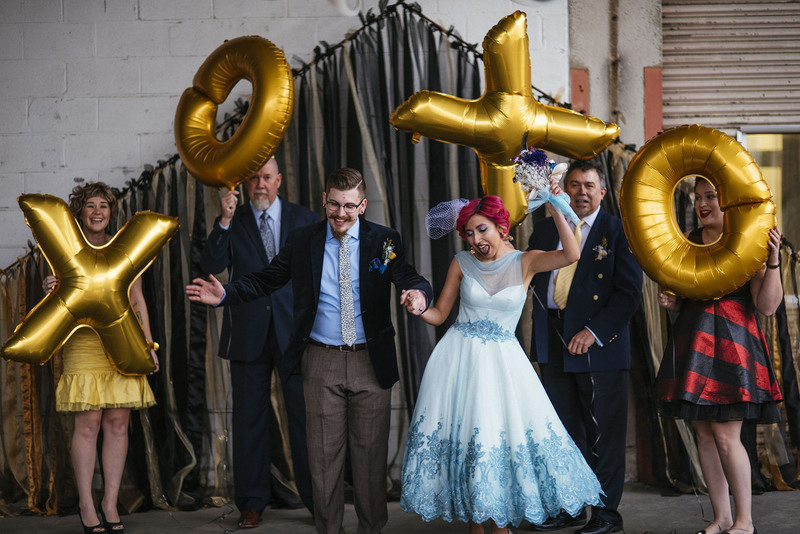 “I love the weddings where the only guests are the parents of the bride and groom,” says My Tiny Wedding’s Stephanie Buechler, which plans weddings in Kentucky and Colorado. Why Have a Tiny Wedding? The simplest reason to forgo the trappings of a traditional celebration is to save money. “Tiny weddings can save a lot of money,” Malbon says. But the format offers benefits beyond low cost, Stallings explains. Fewer guests means “actually having the time to connect personally with each guest,” she says. They’re also far more flexible than a large event. Pop Wed! Co.’s “pop-up wedding” offer shows this. “We can even plan a wedding same-day if the couple contacts us in the morning and everyone’s available!” Gaudaen says. Of the 80 weddings the company has planned so far, her quickest turnaround has been about three days out. “Tiny weddings can take only days or even less to plan, perfect for couples who decide to elope or need to get married quickly before a military deployment,” Malbon suggests. A tiny wedding might also be a practical choice for you if you live far from your family, “such as those in the military,” Malbon says. Instead of planning an expensive destination wedding, consider keeping the big day small and catching up to celebrate with your loved ones later. Rachel Couch for Pop! Wed Co. While a tiny wedding creates a sense of intimacy with your guests, the biggest drawback experts cite is deciding who to leave out. “There’s the potential for hurt feelings, which is why many folks opt to just elope,” Stallings says. Maybe it’s just easier to leave everyone out and enjoy the day between the two of you? “Sometimes couples opt to simply not announce their wedding date until after the wedding,” adds Buechler. If you don’t want to go that far, here are some tips for planning a tiny wedding you’ll love. Aside from a tight budget, one of the best reasons for forgoing the traditional hoopla of a wedding is focusing only on what matters to you. Do you want to remember the dress? The ring? The cake? The flowers? Or do you want to remember the vows, the kiss, the first dance or the conversations at the reception? When you strip away the things that don’t matter, all the photos, stories and memories will feature the things that do. 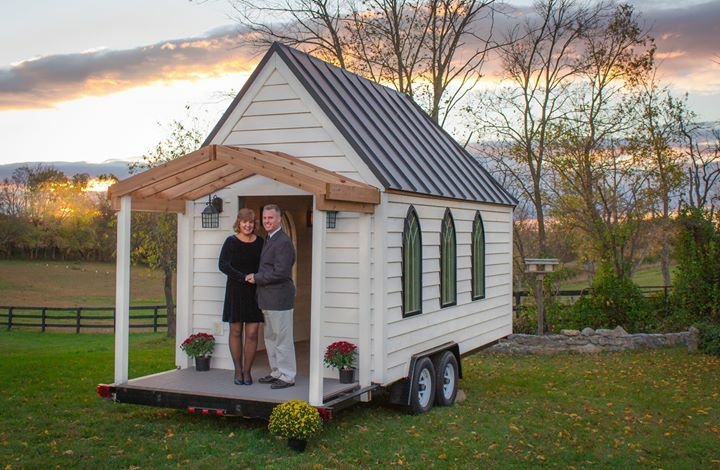 Despite their tight budgets, tiny weddings are insanely flexible. “Tiny weddings can free up couples to think big,” says Malbon. You can host an intimate ceremony at home, take it on the road to an exotic location or gather somewhere with sentimental meaning. Malbon suggests more nontraditional settings, as well, “such as a museum, a golf course, a winery or even a cave.” These become possible with only a few guests. He also points out tiny weddings are well-suited for themes. You can invite guests to dress as characters you all love or come in historical costumes. “Sci-Fi fans can boldly go to a galaxy far, far, away!” says Malbon. Removing the need to accommodate a lot of people and live up to an elaborate wedding-day fantasy leave you room to have a lot of fun. An easy-to-forget key to frugal living is to know where to splurge. This is how you save money without giving up what matters to you. Decide what’s important for your wedding day. When you picture the celebration, what is always there in your mind? What is the story of your relationship you want to share with your loved ones? How do you want everyone to remember the event in future years? Don’t skimp on the things that matter. “Your family, friends and co-workers are great resources for helping you complete your vision for your special day,” Malbon explains. 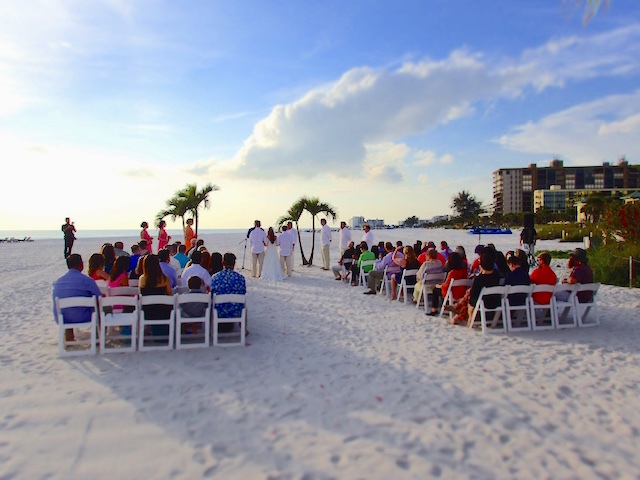 And there are easy ways to save on what’s often a major expense: the venue. Pop Wed! Co. helps couples save money on the wedding venue by holding several ceremonies in a venue in one day. Tiny Chapel Weddings saves by providing, literally, a tiny space for the ceremony. It relies on your own surroundings to add some unique character. “Public parks offer beautiful backdrops for your celebration,” Malbon says. Need more inspiration? Read our list of 101 super smart ways to save thousands on your dream wedding. Your Turn: Are you planning a tiny wedding celebration?